Sometimes life is far too absurd. I was out with Joe from Zenkimchi for a spot of lunch and a crepe today, but we were scuppered in our attempts to achieve pancake satisfaction. 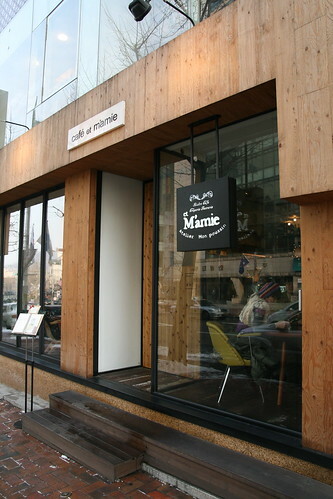 "et M'amie", in Itaewon, promises "Bistro Cafe Creperie Sucrerie" on their signs and yet there is not a single pancake on their menu. Complete crepe fail... 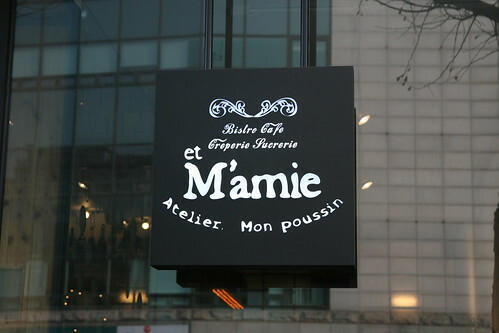 The manager claimed that there were crepes at other branches of this chain, but to be honest if I see the word "creperie" in a restaurant window then I expect to be able to order a pancake or galette right there and then. I'm amused but far from surprised. Trust nothing on a Korean advertisement, be it written in English, French or, hell, Korean. hmm...so now we can't trust photos OR written words here in korea? 아이고!